Andy’s research interests are focused around two main areas 1) factors associated with educational disadvantage and educational inequalities 2) policies and interventions that aim to tackle educational underachievement among children and young people. Recently, as either Principal Investigator or as Co-investigator he has been involved with a number of large scale randomised control trial studies of educational interventions. Other research has focused on young people’s transitions from education to employment and early school leaving. 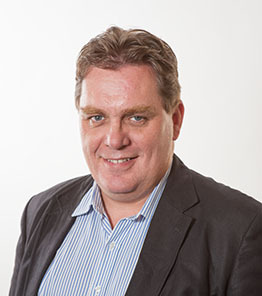 As either a Principal Investigator or Co-investigator he has obtained funding from a range of organisations including the EU-Framework programmes, the Education Endowment Foundation, Tallaght West Child Development Initiative, EU Directorate General Employment and Social Affairs, Scottish Executive and the Leverhulme Trust. In addition to a wide range of postgraduate research supervisionat Masters and Doctoral level I provide contributions to the EdD programme and coordinate an EdD module on Philosophical and Ethical issues in Educational Research and at Masters Level an introductory module on research methods. 2016 AERA Annual Meeting - "Public Scholarship to Educate Diverse Democracies"